love finding flaws in their tentative theories. to those who create better conjectures. in every setback. Our eyes are open. Our minds are engaged. We are alive. 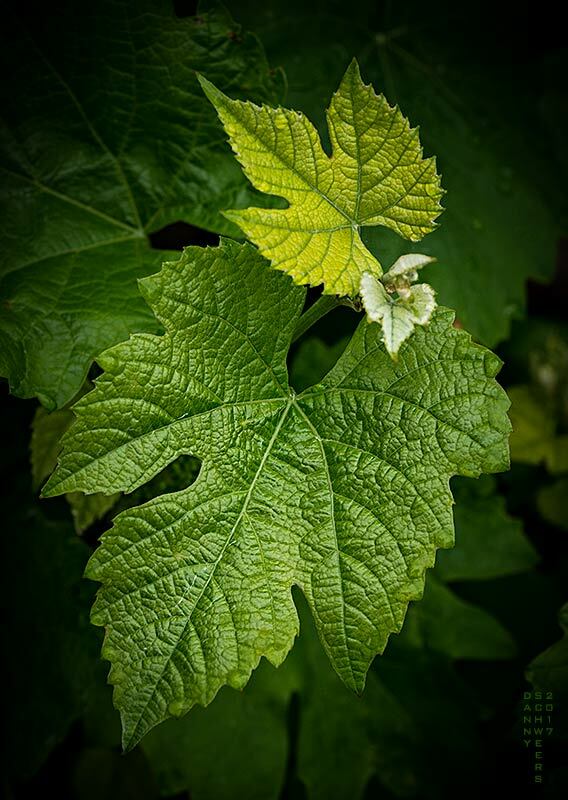 Photo of new grape leaves in Arden, Delaware's community gardens. These comments come from a graphic artist, a certified holistic nurse, a sufi philosopher, two photographers, a brain researcher, a friend who signs herself "Spiritwomon", and a translater of Beowulf who describes herself as someone curious about everything. Amen, Danny. Even knowing we will never know all the answers, the pursuit of them must continue. Danny, I love your writings. So insightful! Yes, let us be gleeful when we discover our errors. Life is a mystery. I recently spent time with the Tibetan Buddhist monks who create their intricate sand mandala, working on its unfolding, and then with a brush stroke dismantle it with joy. They reminded me to let go of all those assumptions I am attached to. Seeking joy in what is. Thanks for sharing your writing and mother nature’s beauty. Nice one this time, both photo and text. Nice symmetry of form, texture, and color harmony. I like it. “Inexplicable Anomalies” would be a great name for a rock band….. These messages are a treasure! Lovely photo, Danny. I love when I find stuff like this. A bit late with my thanks for this one, but it went right into my heart/mind and lit up a synapse or three. Thanks for sharing!